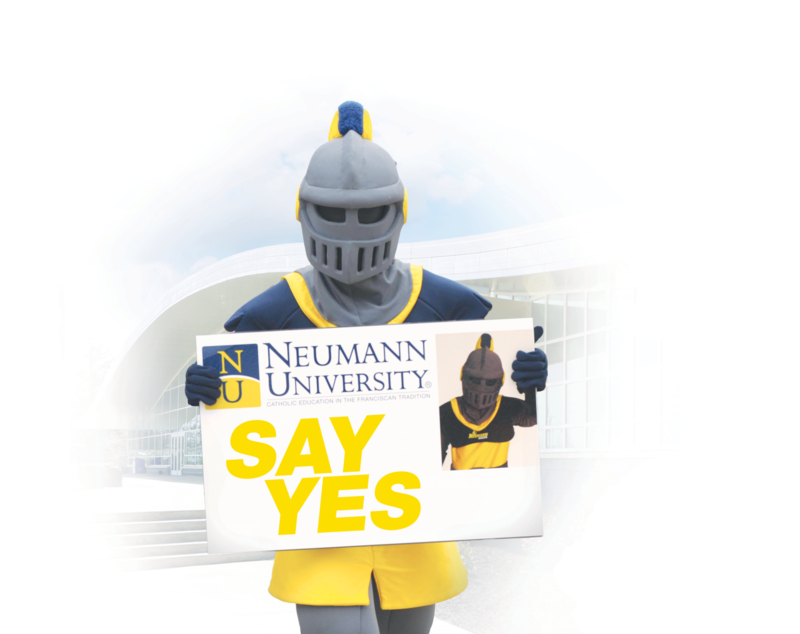 Neumann University - Admitted Students- Visit and Decide! Admitted Students- Visit and Decide! All admitted students are encourage to attend one or many of the below Admitted Student Events! During these events, there will be a special session for all students who have paid their deposit - ENROLL NOW! KNIGHTED FOR A DAY: An immersion event focused on class attendance and academic discussions. Families and Supporters will attend presentations from different departments including admission, financial assistance, academics, advising, and student life. Lunch will be provided, and an optional student-led campus tour will be offered. NEUKNIGHT DAY: All admitted students will come together and experience the awesomeness that is Neumann University. From panels to academic presentations; free food, fairs, and a photobooth. Today is the day you will decide NU is your next new home. REGISTRATION NOTE: To register for any event, you must first log-in. Students need to use the email and password created with their application. This will allow for a quick, pre-filled registration process. For family members completing the registration form for a student, you will need their email address and password. All information in the registration form must be for the admitted student. If you lost your log-in information, email neumann@neumann.edu or call 610-558-5616.